The wine trade is obsessed with vintage champagne. 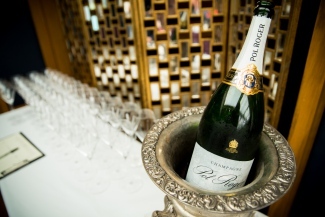 It dominates professional gossip, media rumour-mills and investment speculation alike. We’ve spent days pontificating over the different vintages and their many nuances, appreciating both the celebrated favourites and preaching the pleasures of the overlooked underdogs. 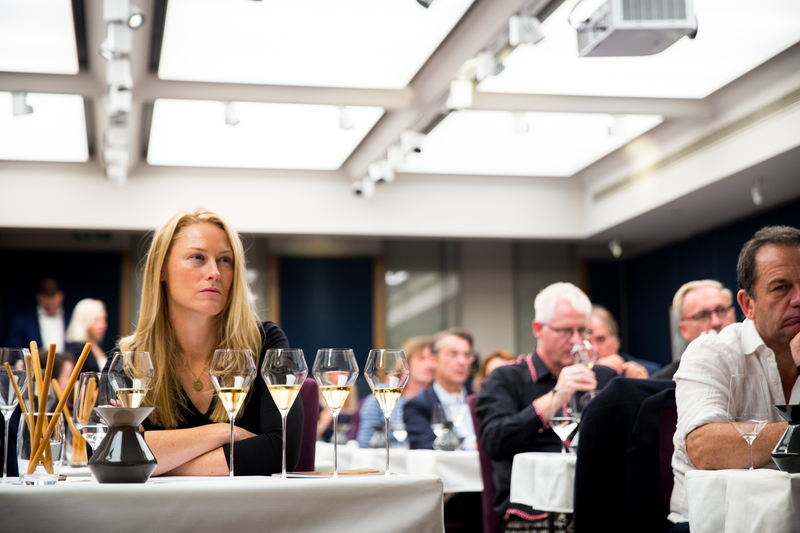 Why then, does the consumer seem relatively uninterested? Vintage accounts for just 10% of total Champagne production – a figure that hasn’t changed for decades. 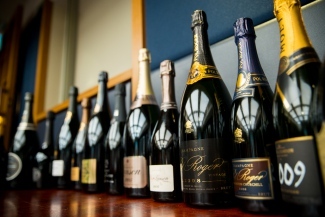 Yes, they come with a premium and will always remain a rarity, but.. 10%? To help redress this imbalance, we designed an experimental tasting that we hypothesised might show the value to be found in the vintage category. Whilst many consumers are familiar with the popular prestige cuvées (Louis Roederer Cristal, Dom Pérignon, Pol Roger Sir Winston Churchill to name a few), many of the House ‘regular’ vintage blends are often forgotten. 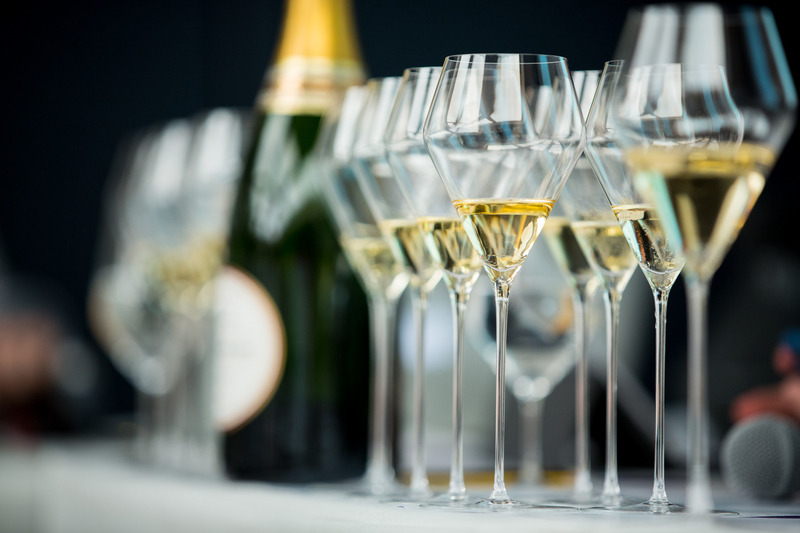 Tasted blind alongside each other in the past, we have been surprised at how well vintage champagnes have performed against their prestige cuvée counterparts; so we decided to give them a chance to prove what they’re worth. 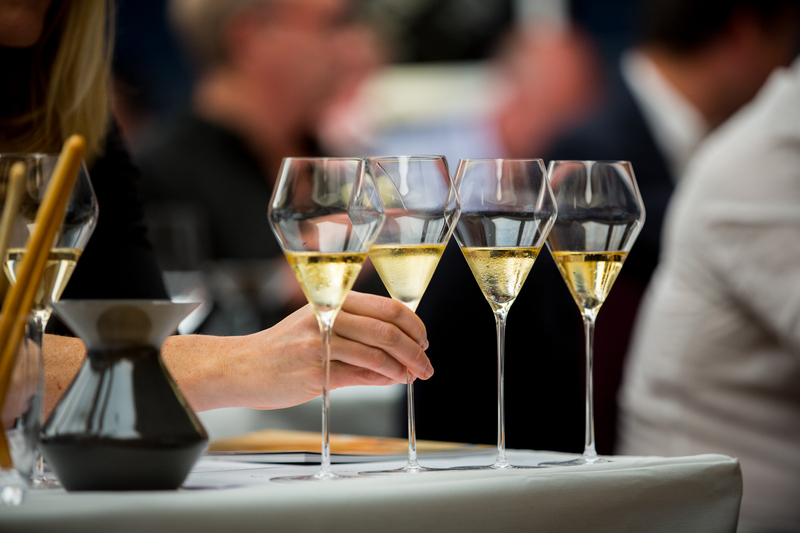 With their grape content sourced from the very best vineyards, extended lees ageing and production methods that utilise elite winemaking techniques, the top prestige cuvées demand quite a significant premium over non-vintage champagne. 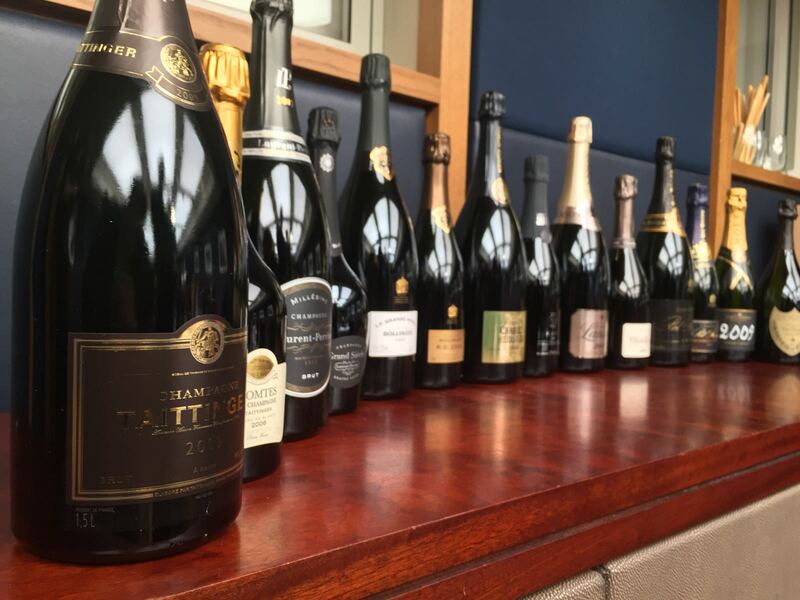 We believe these (often eye-watering) price tags can somewhat overshadow the vintage category as a whole and lead to consumer dismissal. 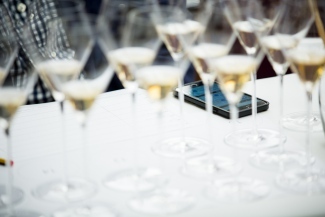 Rather than devalue the undeniable quality of the top cuvées, our hope for this tasting was to highlight the affordability to be found in great vintage champagne; the stepping stone between non-vintage and prestige cuvée. 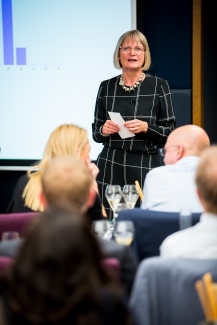 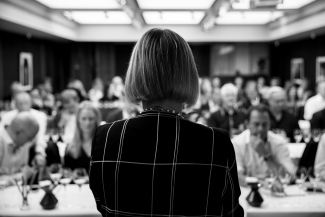 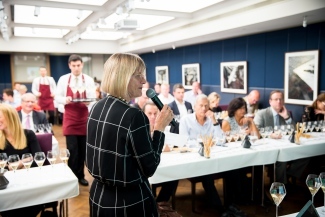 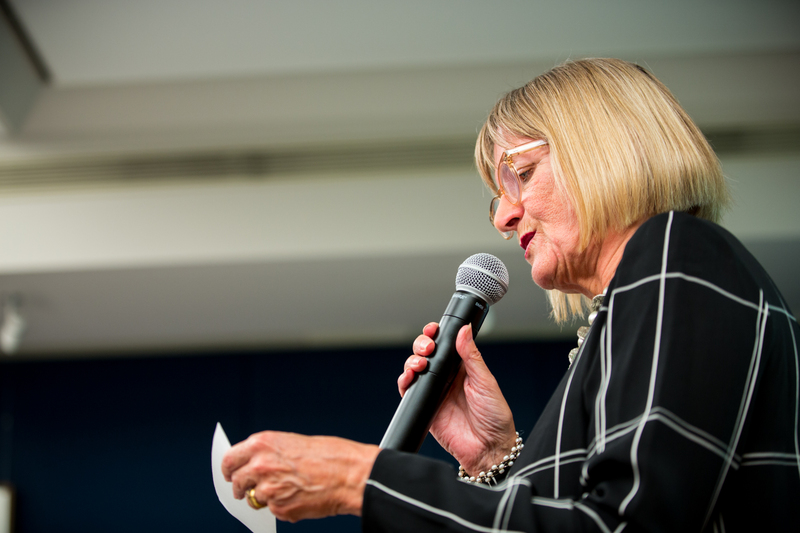 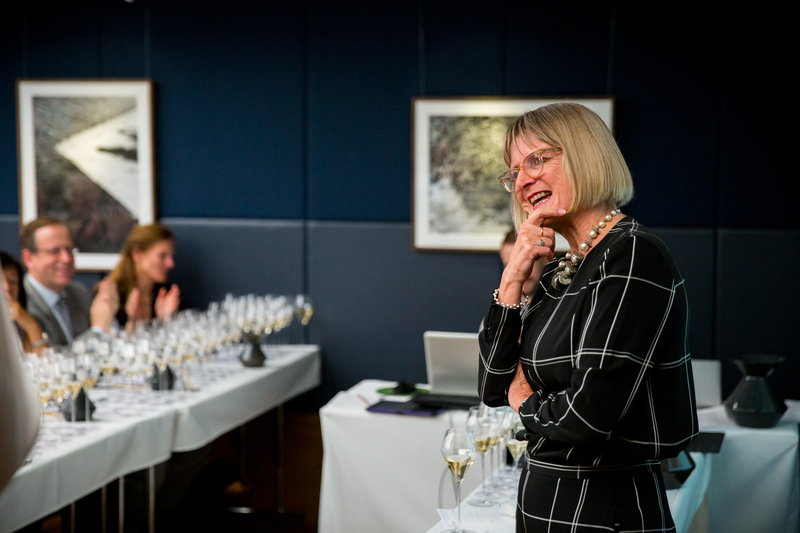 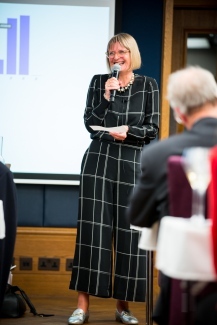 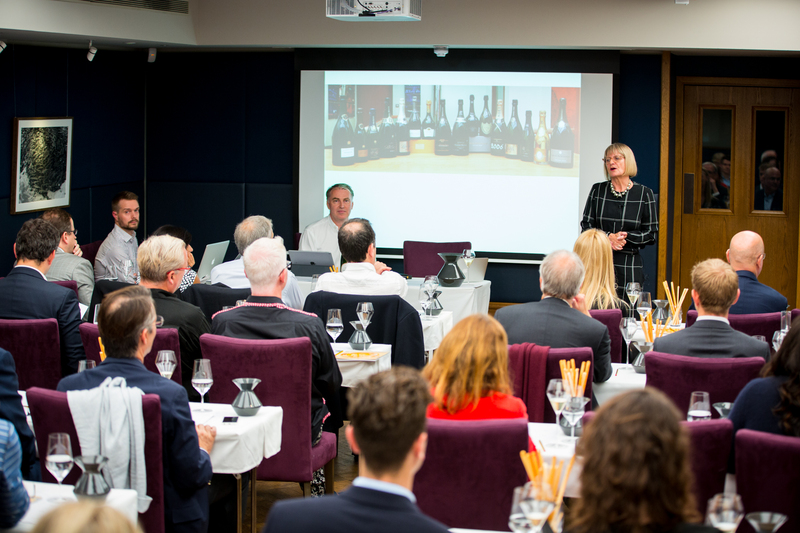 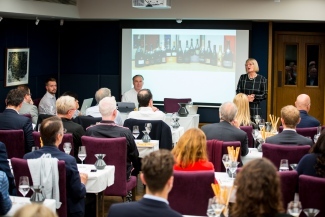 As always at our standout event of the year, we were fortunate to have the world’s-leading wine critic Jancis Robinson MW presenting this once-in-a-lifetime tasting. Jancis travelled with us to Champagne over August bank holiday weekend to conduct research (ahem) for this tasting with each winemaker from all of the eight Houses represented. 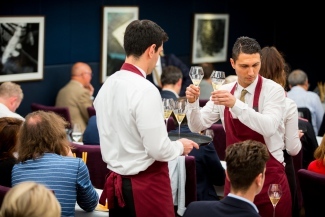 You can read an overview of each visit in our News & Reviews section. 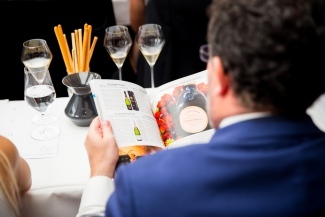 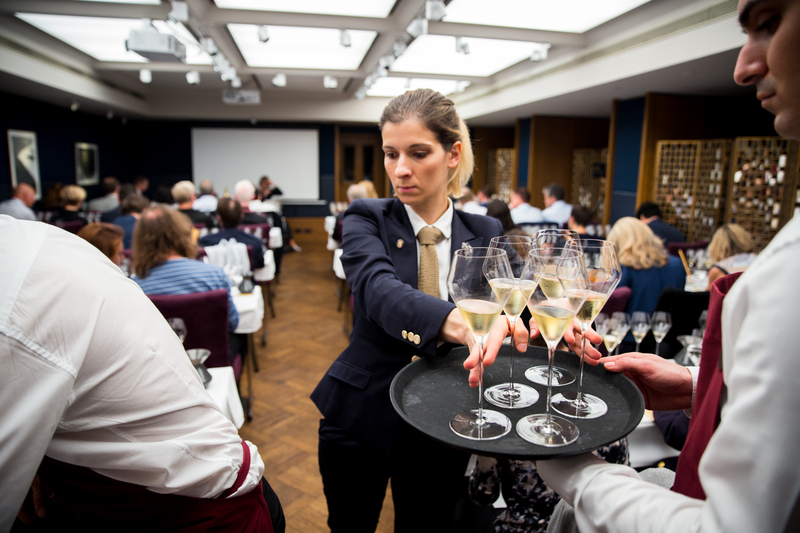 With 67 Pall Mall’s decadent St James’s Room completely packed-out, we had a broad and representative scope of guests ranging from wine trade professionals, press delegates, restauranteurs and high-end consumers, with fifty-six tasting and thirty-one live-voting. 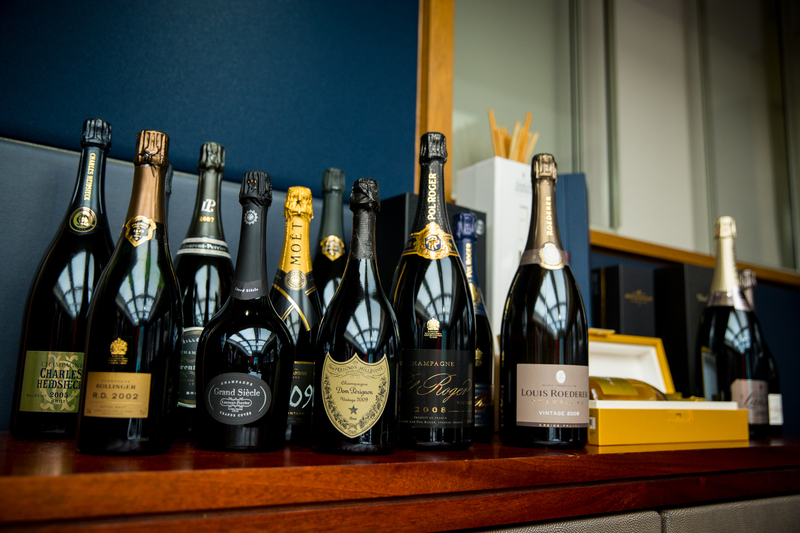 We compared the current release of each vintage and prestige cuvée from eight Houses and to showcase them in their best form, the vintages were served from 1.5L magnum. 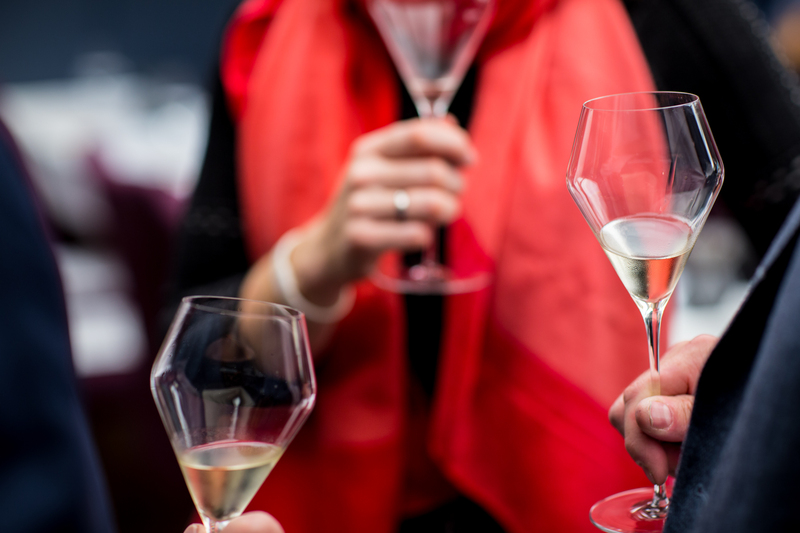 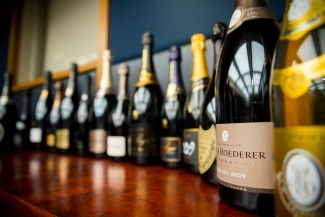 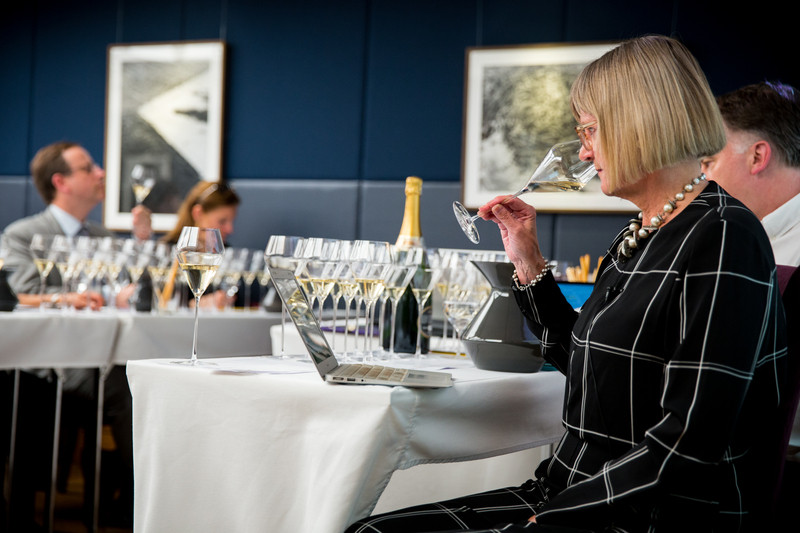 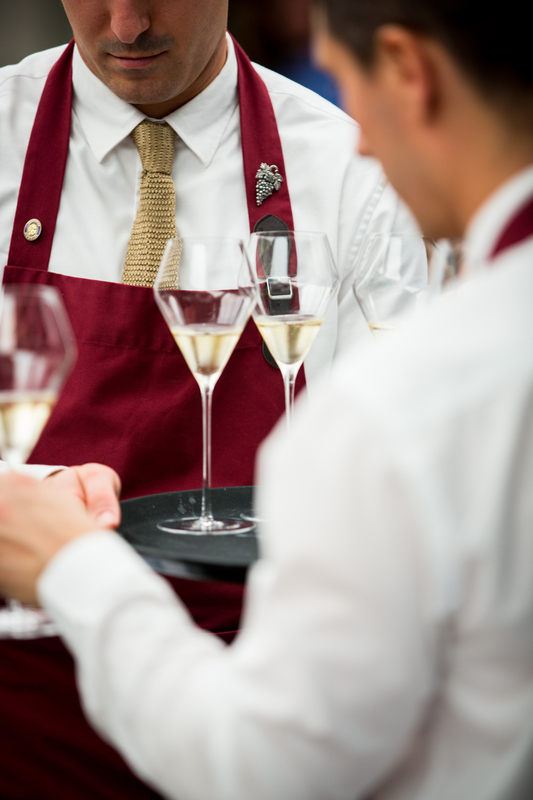 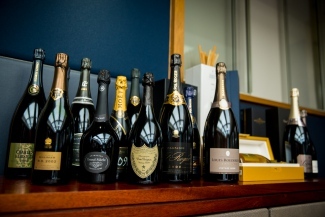 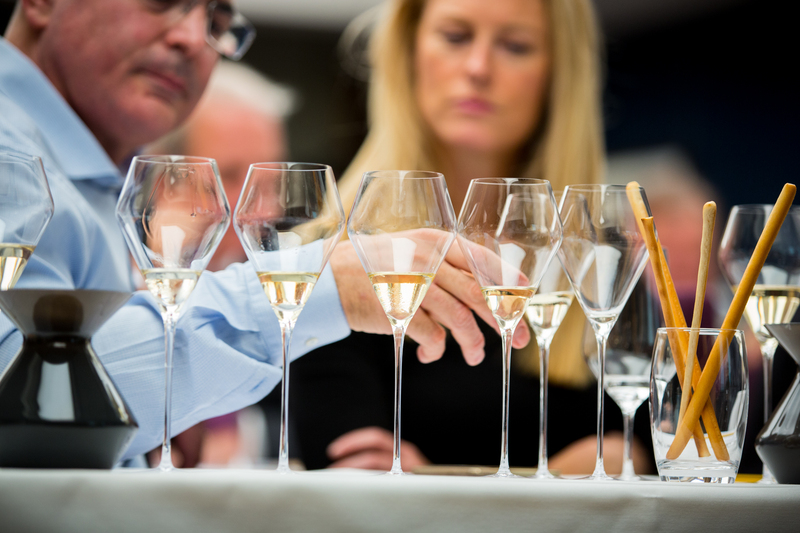 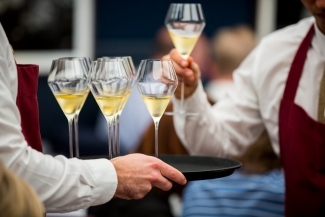 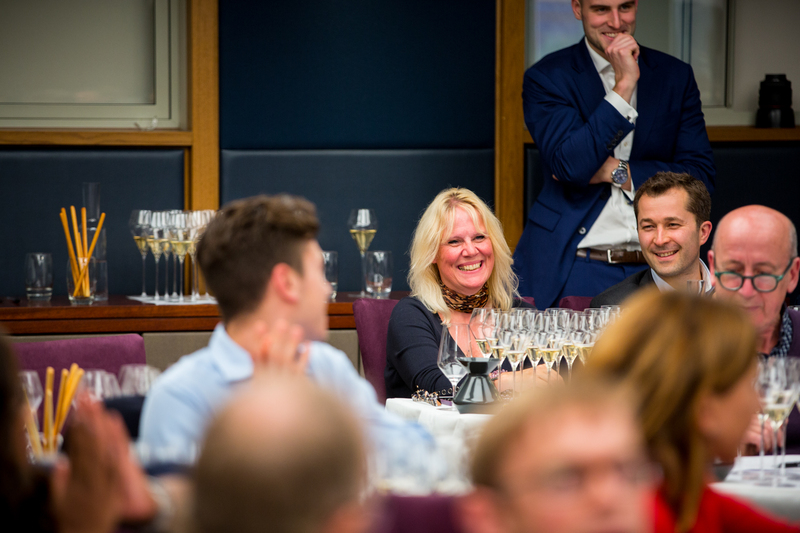 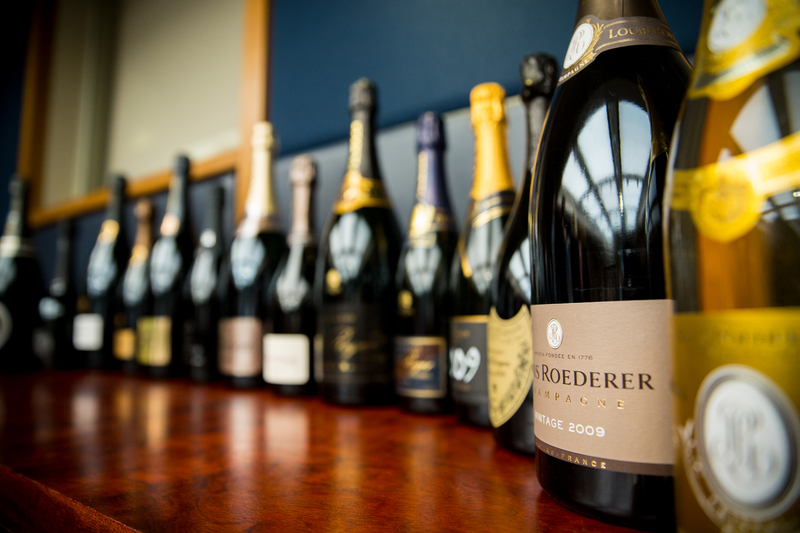 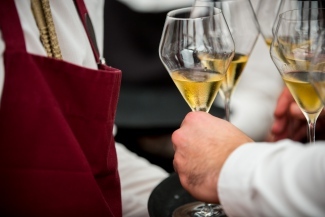 At our prestige tasting events in the past, we have typically tasted the whole range entirely blind, with guests attempting to decipher the identity of each champagne without any information. 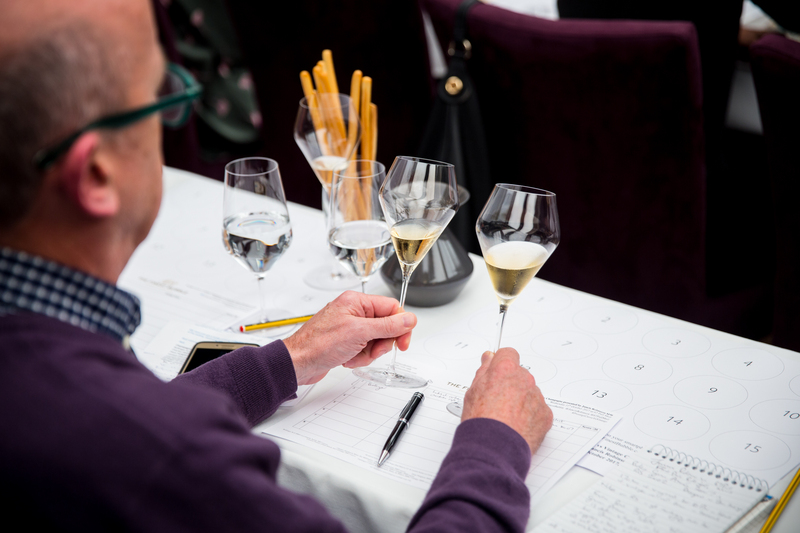 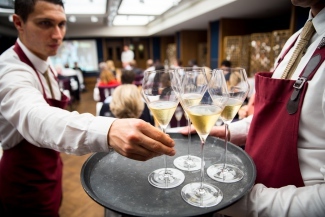 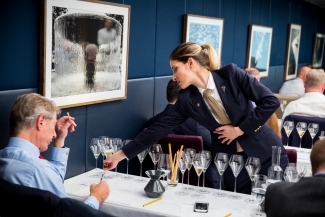 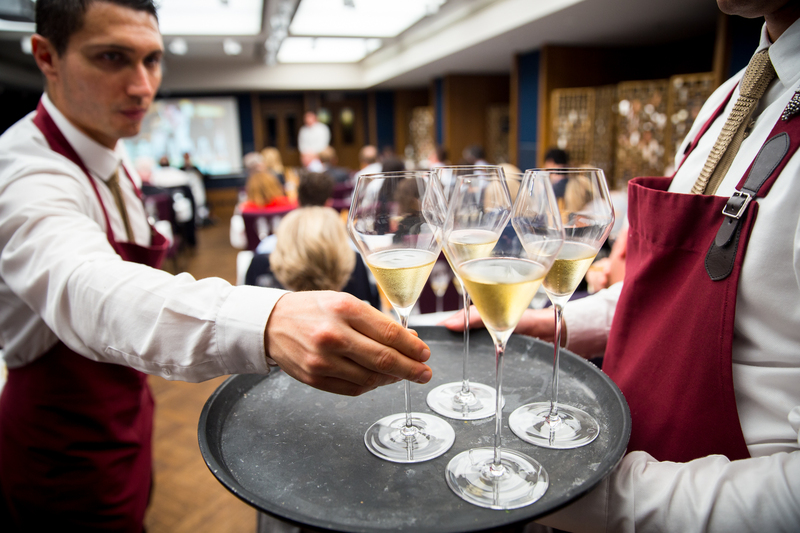 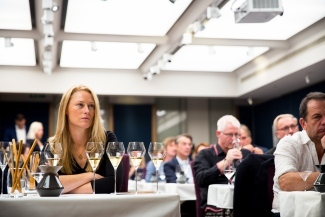 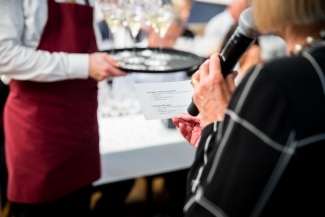 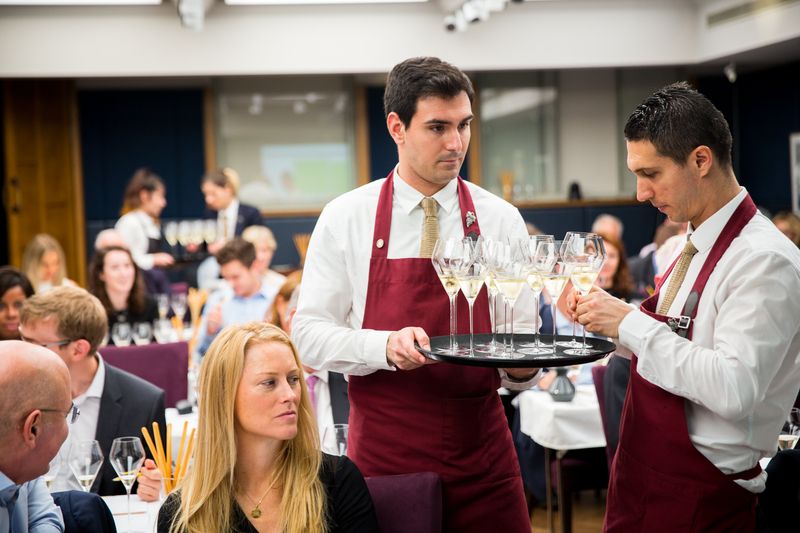 However to simplify the voting process, the format for this event was to taste the champagnes in pairs – the room were told which brand they were tasting but were blind as to which was the vintage and which was the prestige cuvée. 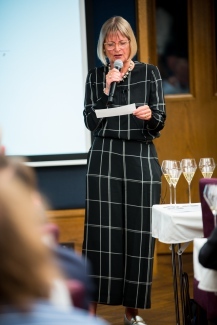 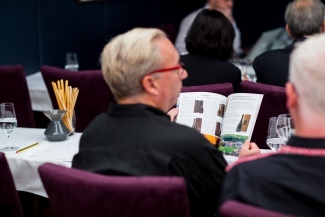 The brands were served in alphabetical order and guests were afforded a few moments to taste, discuss, place their guesses and rate the champagnes, before Jancis shared her thoughts and predictions (more than often correct) and revealed the identity of the pair. 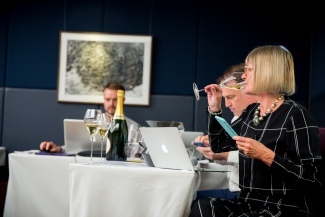 Scores provided below show The Finest Bubble, Jancis Robinson MW and the group average ratings. 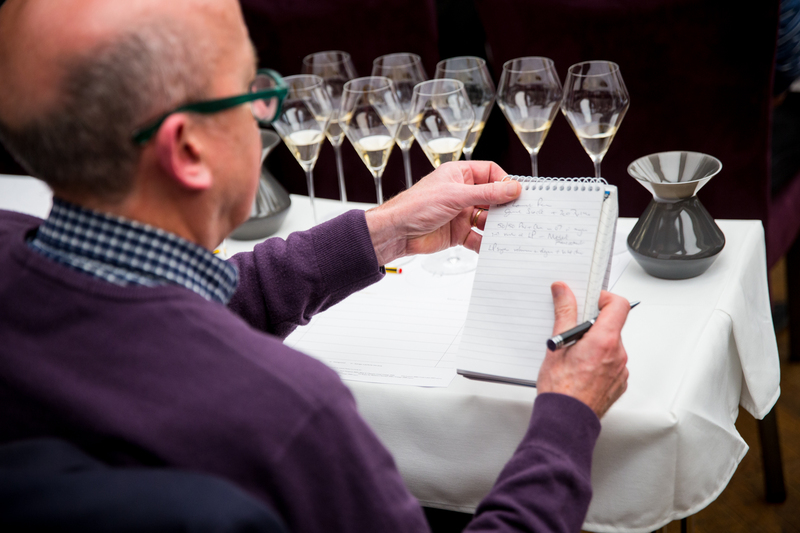 Tasting notes are all The Finest Bubble’s. Introducing the first pair, Jancis tentatively posited that the Bollinger duo may be “the easiest pair of the evening” to distinguish between. With R.D. 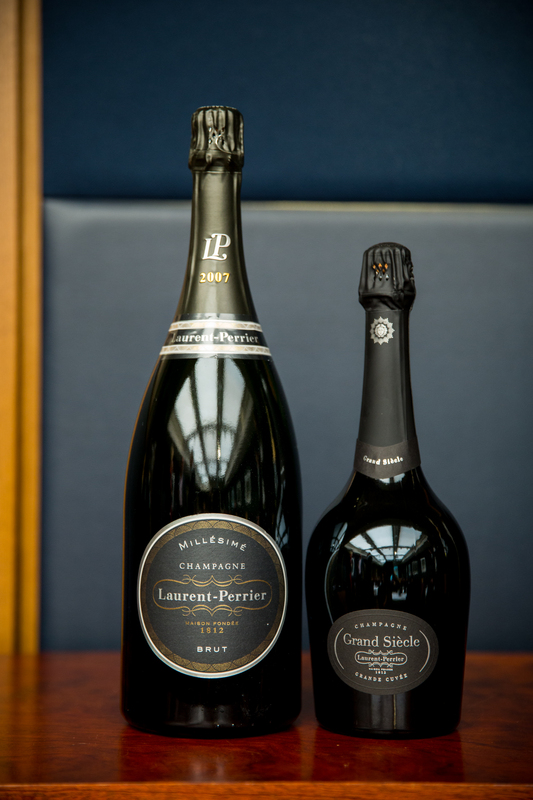 releases arriving on the market much after their La Grande Année counterparts, the current releases now have a five year age difference, resulting in significantly greater bottle development for the R.D. Alas, over twenty in the room correctly identified the first champagne as R.D. 2002 and the second as La Grande Année 2007. 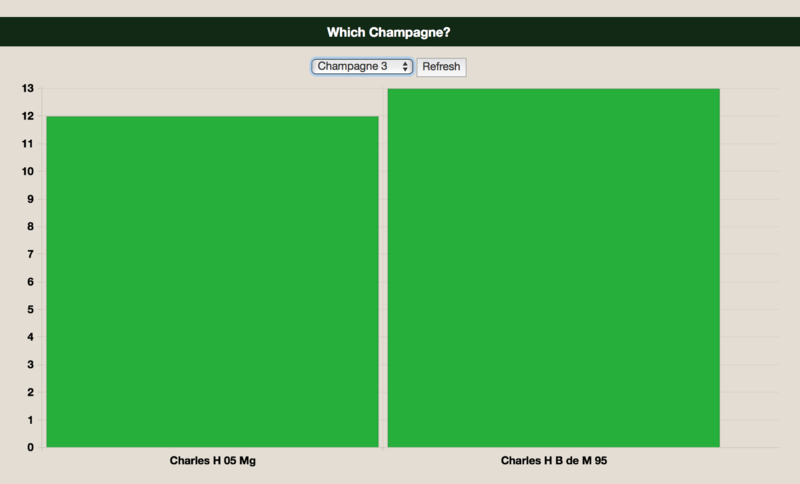 Interestingly, their average ratings were identical, even though most knew which was the prestige cuvée. Jancis accounted for this as stylistic preference, describing the first as “a smokey, heavy, older Bolli” and suggesting that the second “might be a bit more flirtatious than expected.” A good start for the room, nonetheless. 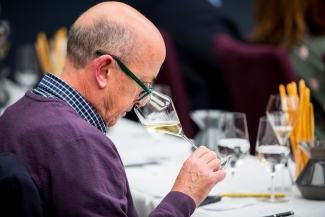 A quite developed nose. On the palate, a bold nuttiness and apricots shine through, with a creamy finish. 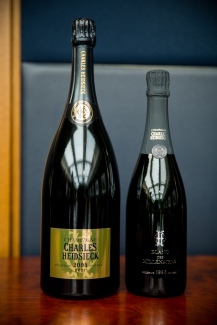 A slightly more restrained nose than champagne one. 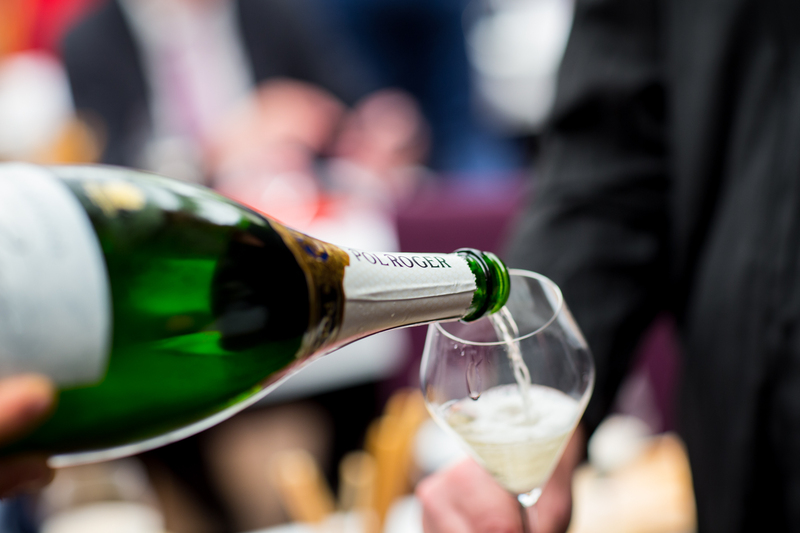 A rich acidity with balanced freshness right through to a lasting finish. 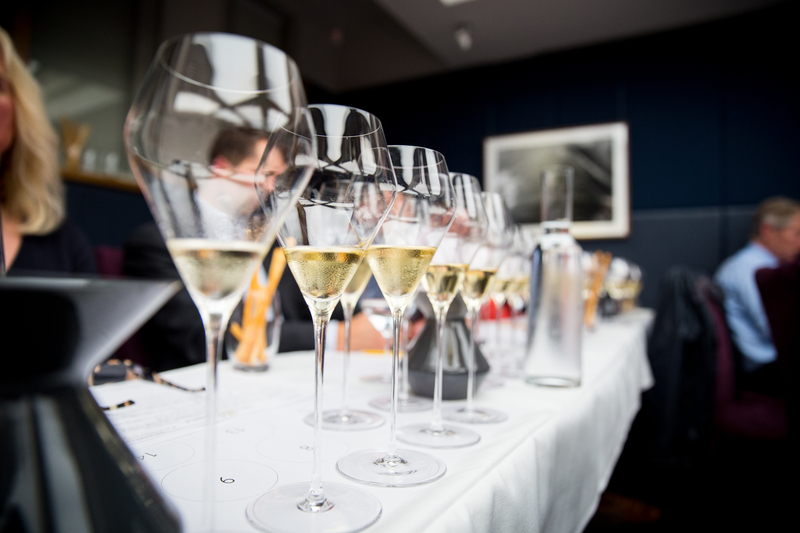 This time, the room was equally divided, with half voting Brut Millésimé 2005 as the first and half opting for Blanc des Millénaires 1995. 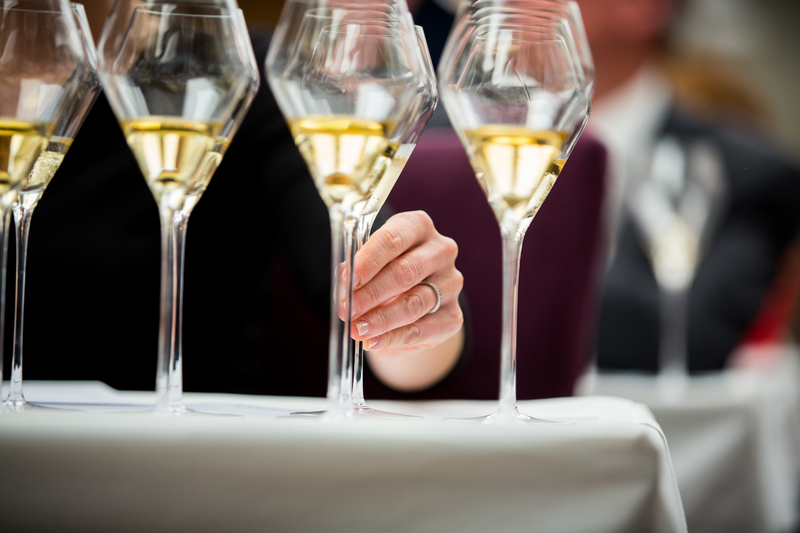 Revealing the results Jancis noted the surprising challenge of identifying this pair: “On the palate, I thought they were white different. 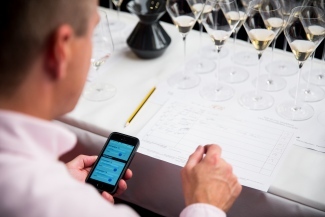 On the nose, they were more similar than I expected for wines 10 years apart.” Again, they both received identical average scores. 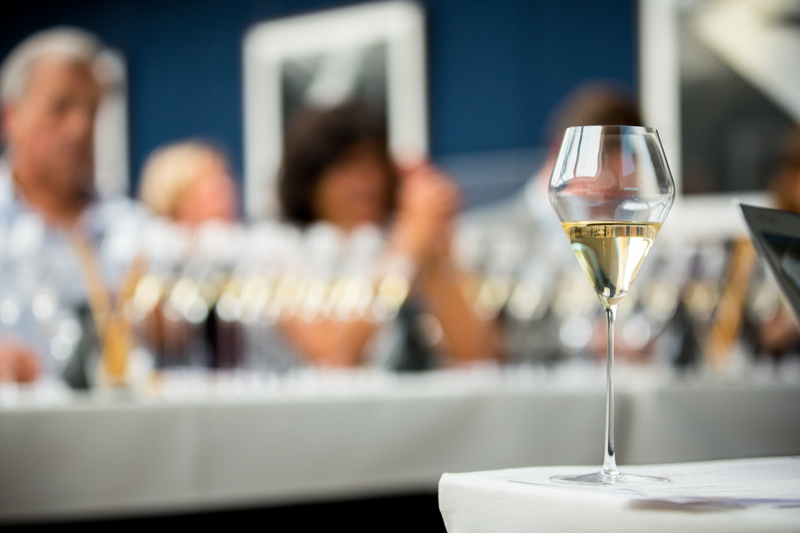 A vibrant freshness with a youthful nose, the palate is creamy and has incredible balance and richness. A rich colour with a fine bead, an air of oxidation on the nose but a complex palate of vanilla and toasty notes. 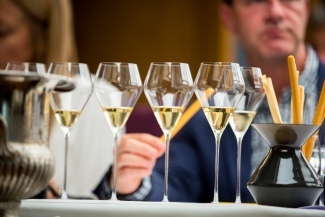 Mature Chardonnay? 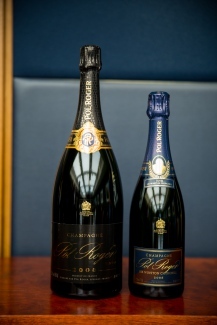 1995? Coming from the same vintage, identification was a difficult task, although there was a slight majority vote for Moët as the first (15 votes to 10) – which proved correct. 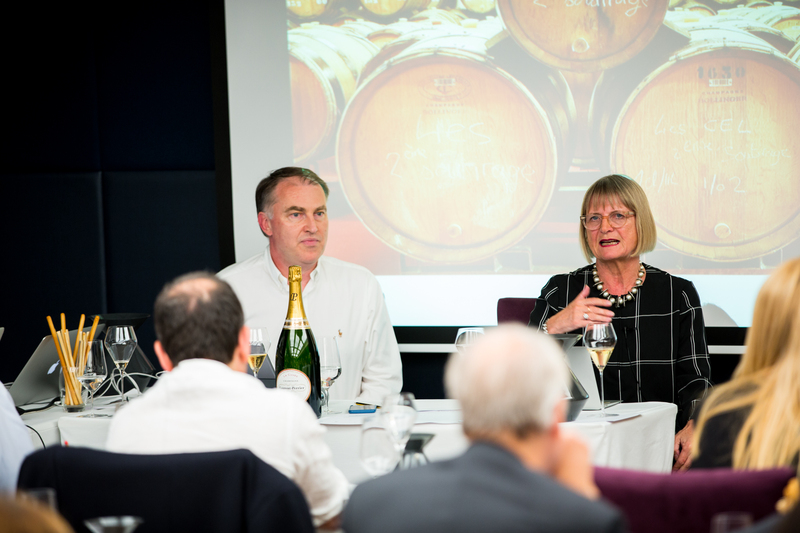 Jancis added: “I thought the Dom had a little more depth, whereas the Moët was a little more advanced.” Before we moved onto the next brand, distinguished guest Richard Bampfield MW assured the room that “Moët vintage ages magnificently in magnum” – advice to perhaps consider when the new 2009 vintage is released in larger format. 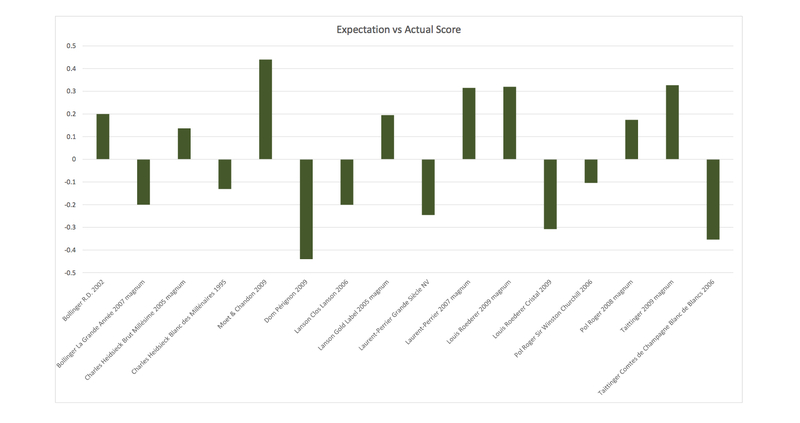 Identical scores here again. On the nose some slight vegetal notes, however opened up after a minute in the glass to show a nice gunflint mid palate and a balanced finish. A slightly sweeter mid palate with nice hints of lemon and citrus notes. 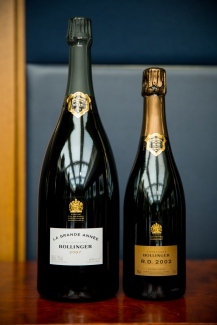 Will be better with a bit more ageing. Next up was Lanson and their brand new cuvée, Clos Lanson 2006. 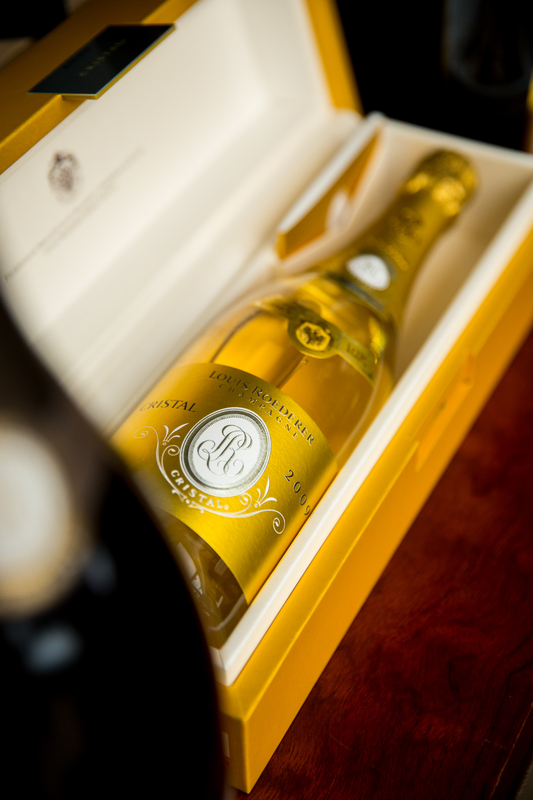 From a tiny single-walled vineyard near the headquarters in Reims, this is the first vintage of this unique prestige cuvée. Perhaps not many had tasted it before as this pair divided opinion, with just a slight majority opting for the prestige cuvée as the first – which again proved correct. The Lanson duo stumped Jancis for the first time; she found them “much closer together than the others.” Interestingly, there was a slight preference for the vintage over the prestige cuvée, although the score differential was minimal. 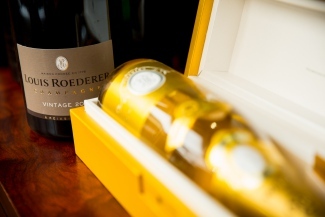 Very precise palate with hints of lemon and balanced richness. 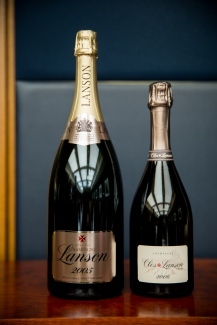 Clos Lanson? 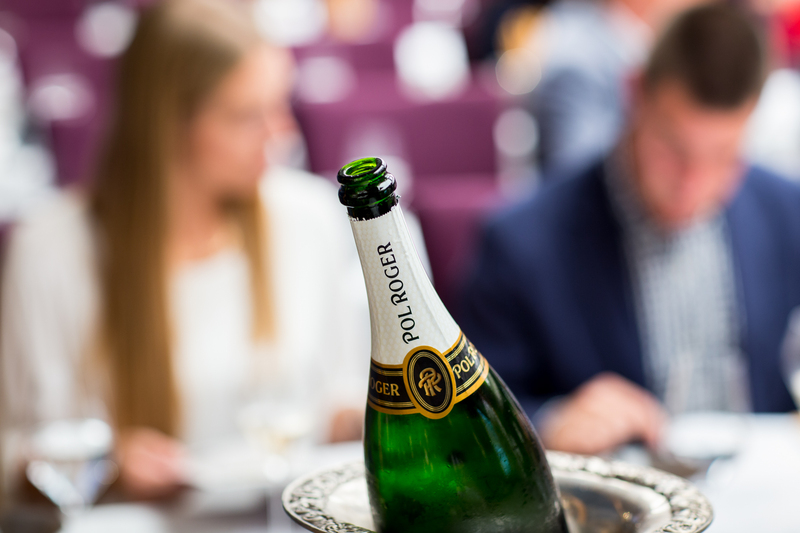 Hint of mushroom character but on the palate a vibrant acidity, some toasted bread notes on the finish. 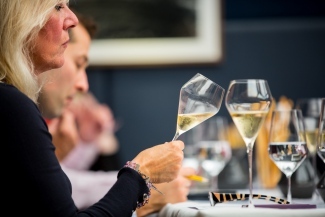 Once again, the room guessed correctly with an 18 to 10 vote majority identifying Grand Siècle NV as the first champagne. Identical scores once more. Advanced on the nose, but when tasting fresh acidity and bundles of fruits. Yum! 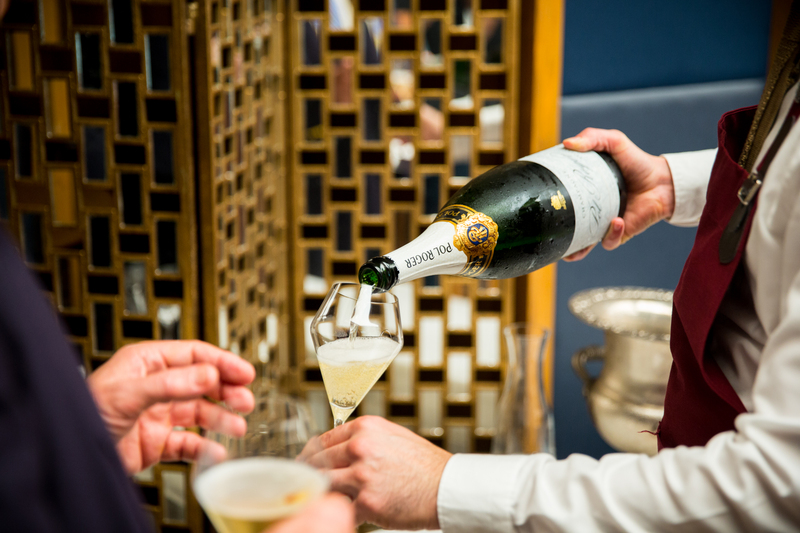 A more subtle palate than the previous champagne, but nice and complex, almonds and some toasty notes. 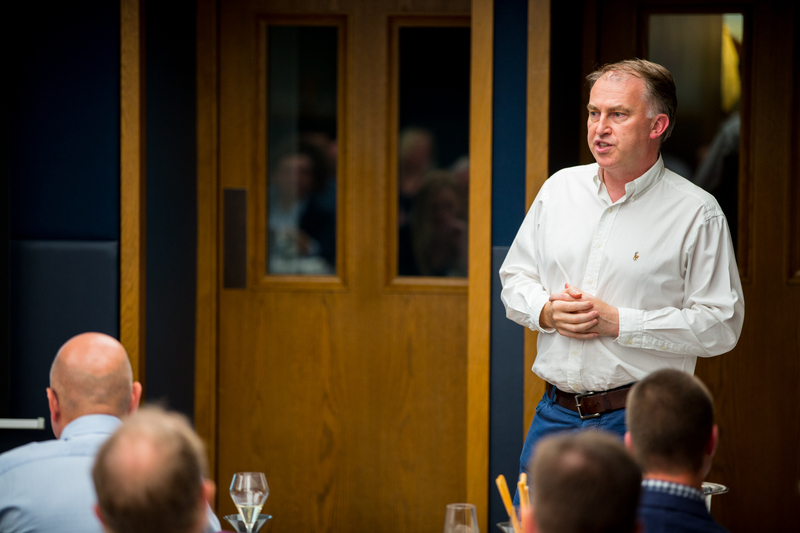 As discussion in the room turned to the compositional difference between the vintage and Cristal 2009, it was the turn of resident expert Mark Bingley MW, Fine Wine Director at MMD – Louis Roederer’s UK agent – to shed some light. 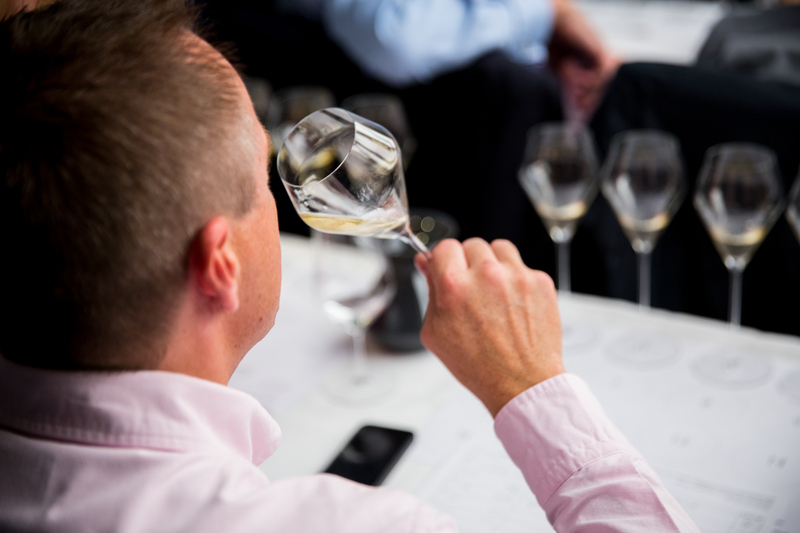 “The key difference is the terroir. The plots with harder chalk beneath will go into Cristal and those with softer clay will go into the vintage,” he told the room. A bold and rich palate with a rather forward nature. 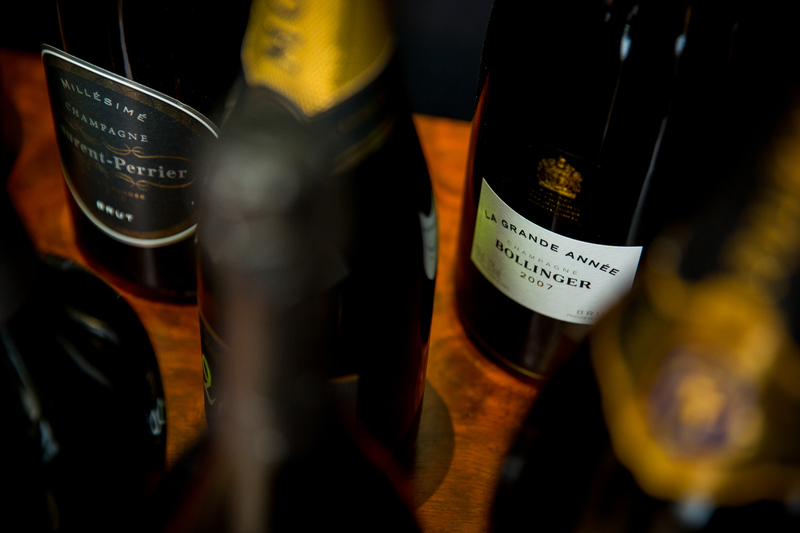 Vintage? A hint of chalkiness, a very linear and fresh acidity. A great champagne, favourite so far! This must be Cristal due to the delicateness. 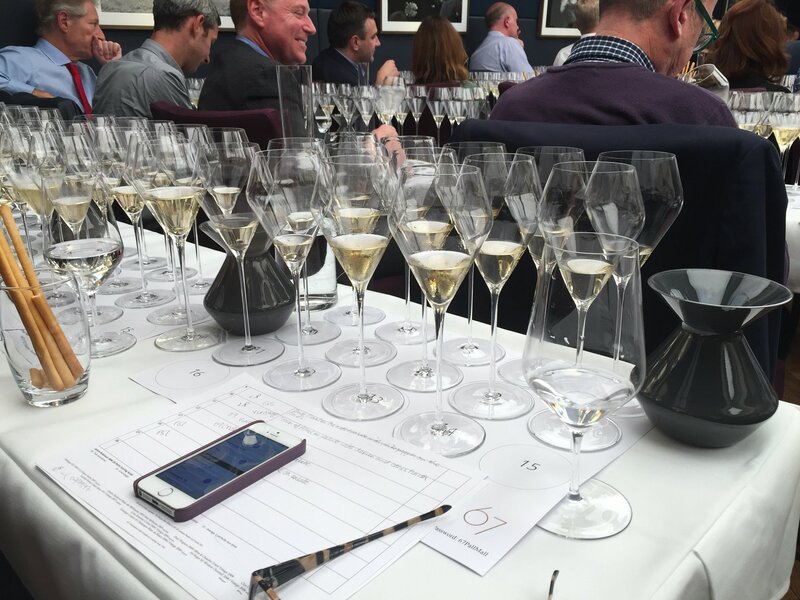 The room this time resoundingly predicted Sir Winston Churchill 2006 to be the first champagne with 25 votes to 2 – and correctly so! 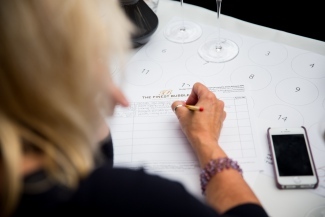 Interesting, the Brut Vintage 2008 Magnum received a higher average score (18.2 vs 17.9) and even when the room knew what they were voting for. A nice balanced acidity and freshness throughout, a nice finesse of lemon and creamy notes. 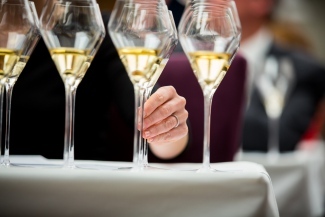 Some brown apples on the nose, a complex palate of orchard fruits with lemon hints. 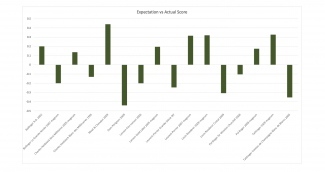 Complex and will age well. Last but not least were the Taittinger duo. 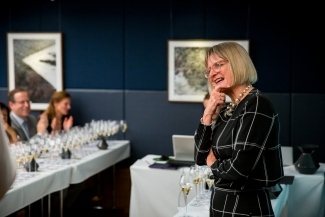 “This should be one of the easier pairs to distinguish between,” Jancis mused, a predication likely based on Comtes de Champagne 2006 showcasing such a unique Blanc de Blancs style, compared to the 50% Pinot Noir Brut Vintage 2009. 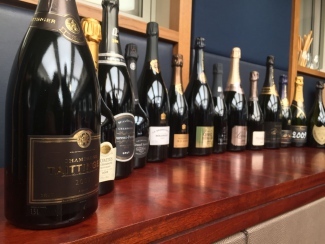 Once again, the room proved excellent connoisseurs, with a 20 to 7 vote majority ascertaining that the first champagne was the Brut Vintage 2009 Magnum. 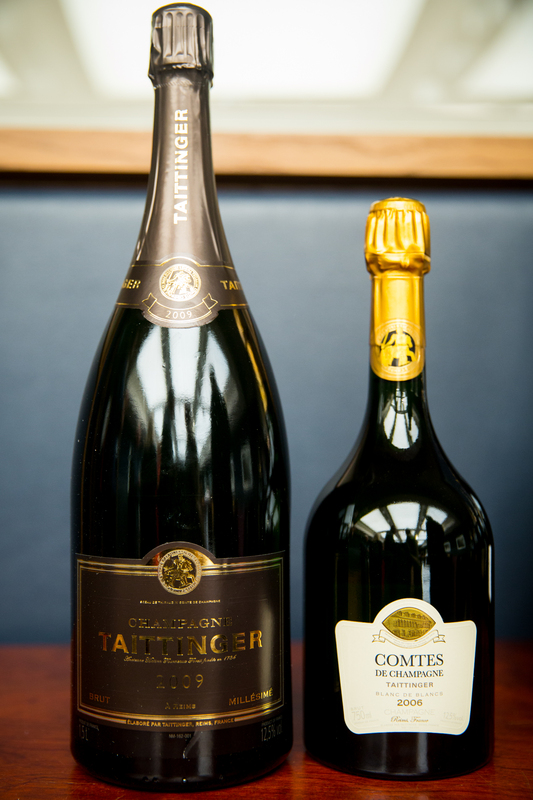 With a score comparison of 18.2 vs 17.8 in favour of Comtes, Taittinger had the biggest rating difference of any brand. 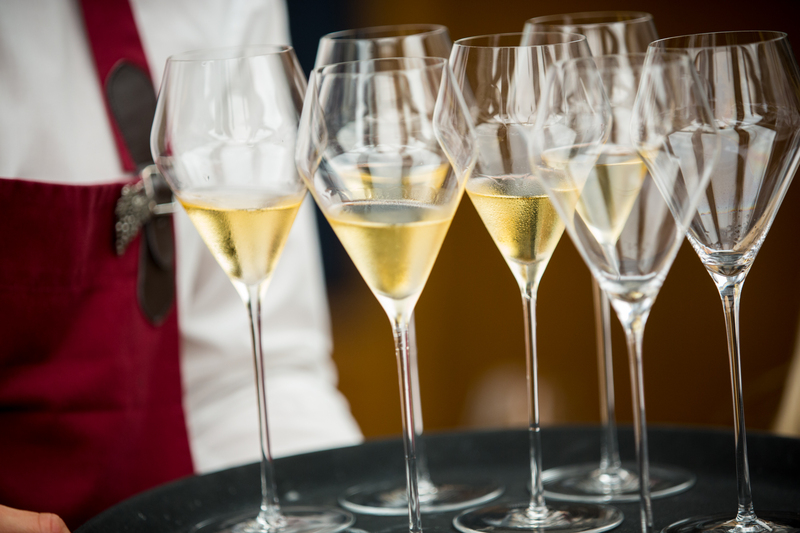 Fine bead of bubbles, a vibrant golden colour. 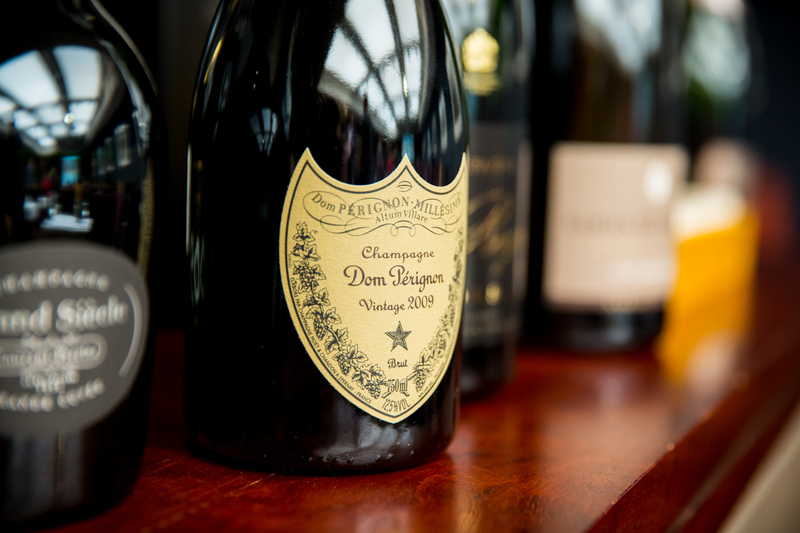 Fresh, rich and full of lemon. A nice smokey hint on the nose, lovely balanced weight of fruit and acidity, very very good! 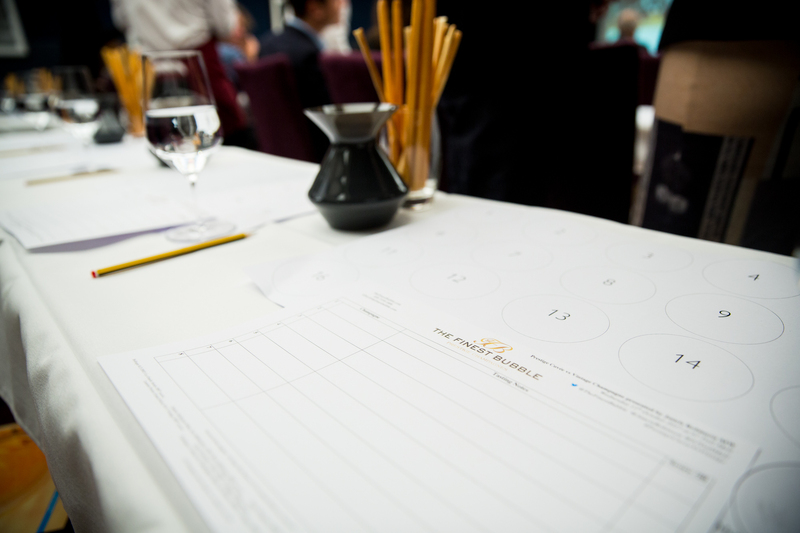 As the table above shows, there were some consistent favourites across the board. Most interestingly, the data shows almost identical ratings, on average, for the vintages and the prestige cuvées (17.86 vs 17.83). 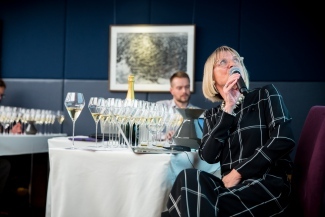 As Jancis highlighted with the Bollinger pair, this could come down to both stylistic preference and the newly released prestige cuvées perhaps not being quite ready for consumption at this stage of development. 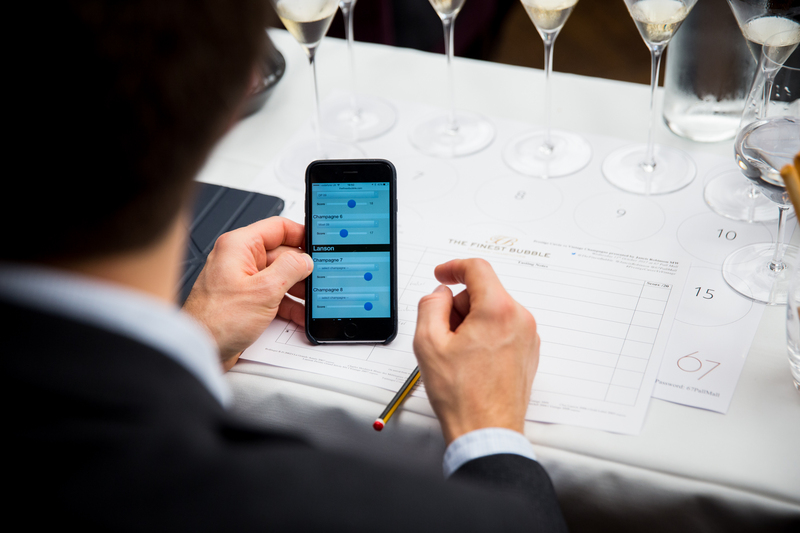 On the evening, we were interested in capturing the expected vs actual scores when tasting each champagne. To put this concept into its simplest term we want to see whether people vote differently to the average if they think they are tasting a certain champagne. 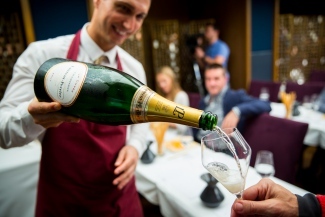 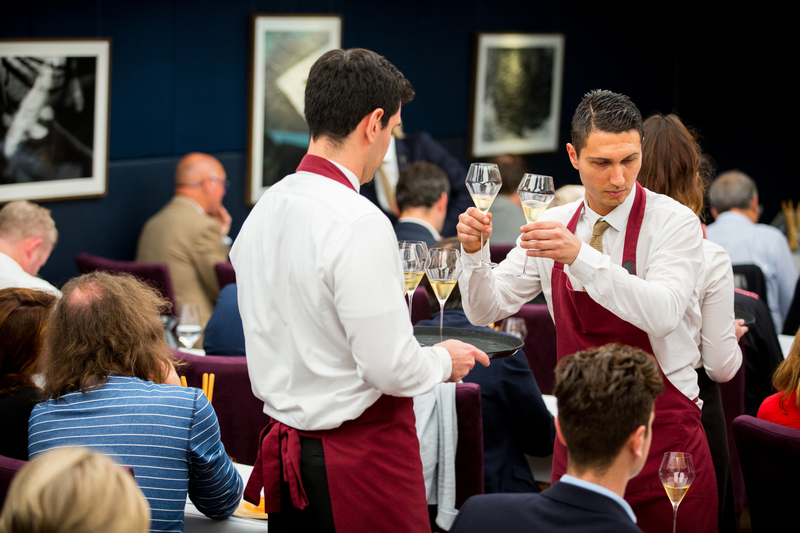 For example, when guests believed they were drinking Louis Roederer Cristal 2009, but not, they would score it higher than the group average score. 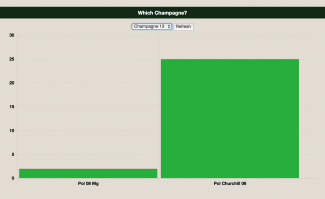 As you can see from the graph below, it is only a marginal increase or decrease and bear in mind that these figures are taken from tasters who guessed incorrectly, in some cases this could be 5 or 6 people. 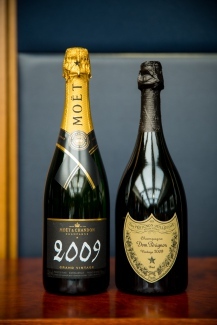 One noticeable case is the Möet & Chandon 2009 vs Dom Pérignon 2009, which saw tasters give the Möet & Chandon 2009 a higher score because they believed it was Dom Pérignon 2009. It is also worth mentioning the group score differential between the highest and lowest rated champagne: just 1.1 (18.4 vs 17.3). This serves to highlight that, whilst scoring and ranking these champagnes is an intellectually stimulating exercise, all of the champagnes are simply stunning: 1.1 is minuscule score differential to have sixteen champagnes spread within. 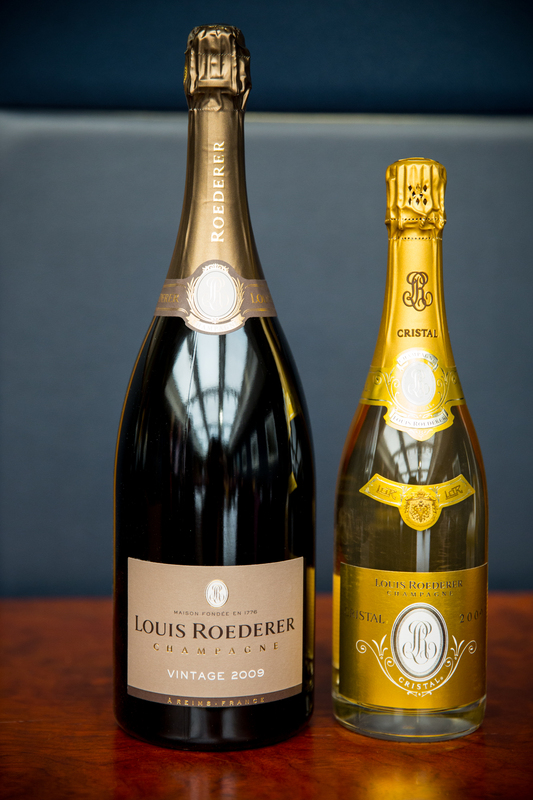 Photos by Matt Martin Photography.